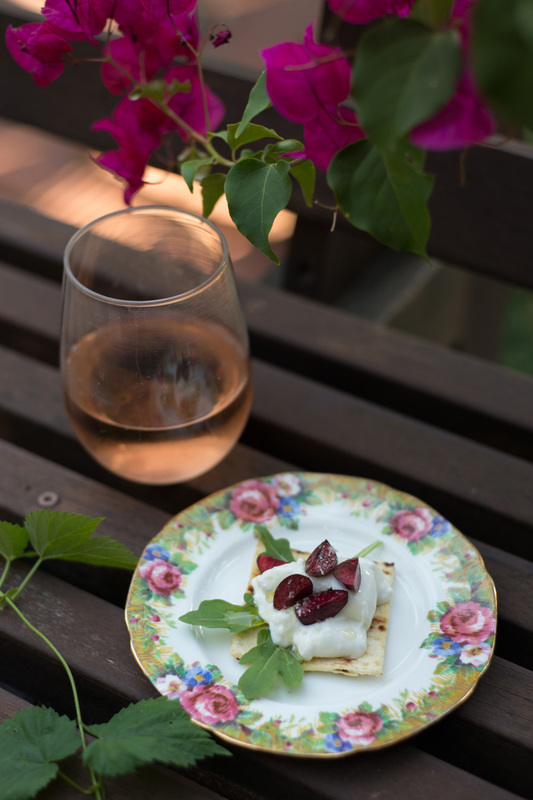 The cherries are so juicy and sweet at our farmers market these days that I had to incorporate them into a summer appetizer. And burrata makes everything better, so why not combine them?! It gets really warm out here in the woods during the summer, but the evenings can suddenly cool off, so we often pull our little portable campfire onto the deck. We had some friends over earlier this week and started with cocktails and these Cherry Burrata Bites. I used Flatout Flatbread’s Artisan Thin Pizza Crust and cut it into squares to form the base. I spread the squares out on a baking sheet, drizzled with olive oil, and toasted them to create large crackers that have both crunch and a bit of chewiness. I then topped them first with a few sprigs of fresh baby arugula, followed by a dollop of creamy burrata cheese, and lastly some cherry slices. Sprinkle with olive oil and coarse salt before serving and they are a delicious bite! I love the crunchy/creamy/salty/sweet combination, especially with a cocktail. 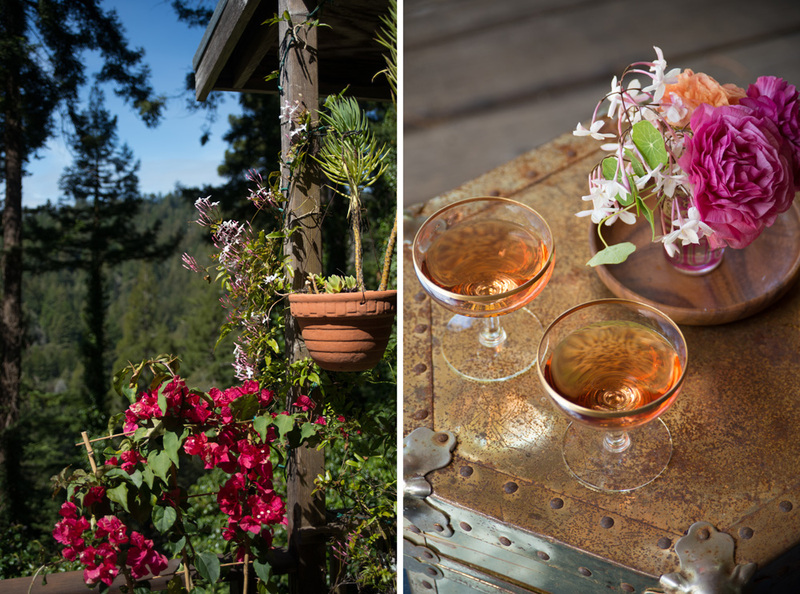 Cheers to outdoor summer entertaining! Cut the flatbread into 3-inch squares then lay out on one or 2 baking sheets. Drizzle with olive oil and a sprinkle of sea salt, then bake at 375ºF for 5 minutes to make the flatbread into crackers. Allow to cool then lay the squares out on a large platter. First lay a couple pieces of fresh baby arugula on each flatbread cracker. Then top the arugula with about 2t burrata cheese. Next put slices from 1 cherry on top of the cheese. (Instead of removing the pits, I just slice all the sides off.) Sprinkle the whole platter with olive oil and coarse sea salt and serve immediately! This post was done in partnership with Flatout Flatbread. Thank you for supporting the brands that make The Forest Feast possible. 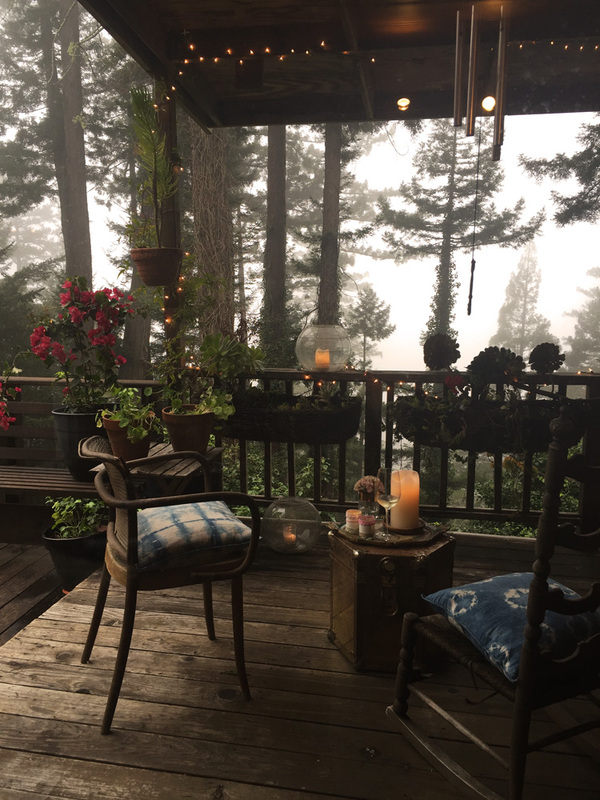 I know it’s officially spring when my jasmine on the deck begins to bloom (my favorite scent ever!) and we can spend evenings with a glass of wine in the backyard while Ezra runs on the grass. We’ve been doing more hikes and walks lately in our woods. 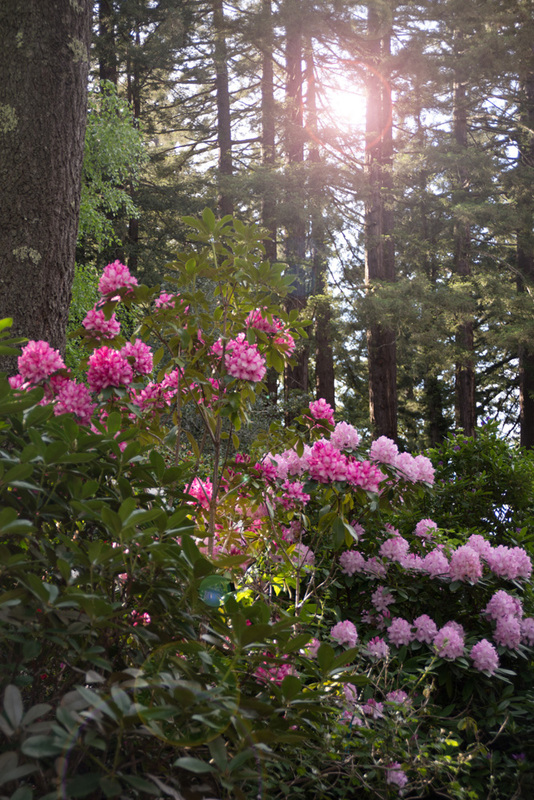 I love to see the new lime-green tips on the redwood fronds, fields of blue forget-me-nots, and vibrant shades of pink flowers at every turn. I’ve been snapping photos of all the wildflowers– I can’t get enough! There’s nothing like Earth Day to make you want to get outdoors. The mountains where we live have certainly inspired me creatively! I find that I come up with some of my best ideas on hikes. One way to give back to the Earth is by shopping greener. In honor of Earth Day, I have partnered with Whole Foods Market to give you some ideas for making greener choices at the grocery store. I shop at Whole Foods a lot and love that I can trust them to offer products that aren’t toxic for the Earth, or for us. I try to buy organic as often as I can. It’s healthier for you, safer for the farmers who produced it, and better for the planet. I make a point to prioritize shopping organic when looking for produce without a peel and animal products. I buy freshly cut flowers every week- they just make me happy! In doing so, I wasn’t necessarily thinking about the environmental choice I was making. I want to help protect the farmers who grow and pick those flowers from harsh chemicals. Whole Foods Market sells flowers (and produce, too!) that are responsibly grown meaning that they come from farmers who have eliminated the use of eight of the most hazardous neurotoxins still allowed in US agriculture. I want to make a bigger effort to buy bouquets that are responsibly grown from now on. Harvesting produce when it naturally grows uses less energy and resources. Plus, it usually tastes better and is cheaper because there’s an abundance of it at the store. Here’s a great guide to what’s in season now. Check out my seasonal spring produce collage, above, plus the seasonal spring recipe below for a Potato & Onion Salad. Ever since I was pregnant I make a big effort to buy only non-toxic cleaning products and bath & body products that are free from harmful chemicals. Whole Foods has a huge variety which is especially great since now I have a baby! We use Whole Foods’ 365 Everyday Value line of diapers and have found they are cheaper and better than all the other natural brands we’ve tried. At Whole Foods you can buy ingredients like oatmeal and rice in bulk (without packaging) which cuts down on a lot of waste and lets you bring home just how much you need. I LOVE the bulk peanut butter machine at my local Whole Foods. It’s way better than any type in a jar! Roast mini potatoes on a baking sheet with olive oil & coarse salt at 425ºF for about 30 minutes, or until fork tender. 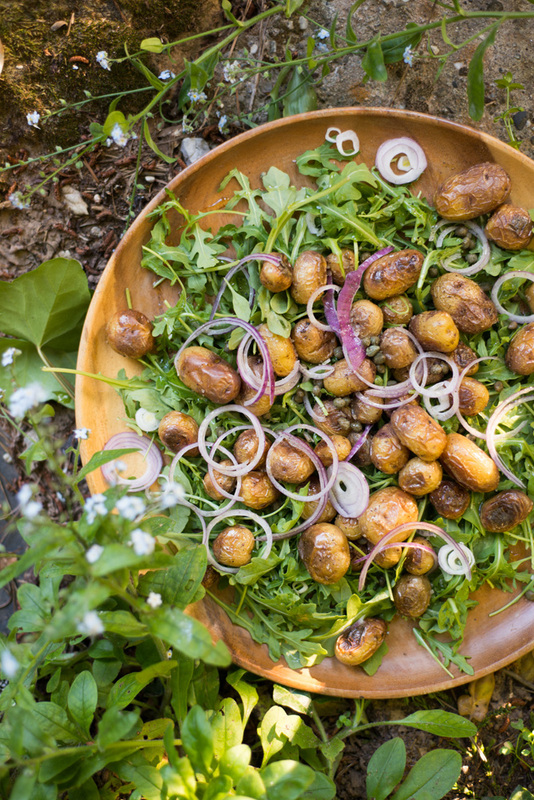 Spread fresh greens (I use arugula) on a platter and scatter the warm potatoes over. Use a mandolin to thinly slice rings of raw red onions over the potatoes, then sprinkle the whole platter with capers, olive oil, coarse salt and freshly ground pepper. Wishing you a very happy Earth Day and hoping that you have some time to get outdoors and enjoy what’s growing around you this weekend! This post was done in partnership with Whole Foods Market, a store that I have shopped at for years. I only work with brands I love and opinions here are my own.